Thanks Sacha for sending this too me. Hey I would have been happy with just New England seceding! you get to make the red states pay their fair share. all cheese, 90 percent of the high tech industry, most of the U.S.
University of Georgia. We get Hollywood and Yosemite, thank you. Finally, we’re taking the good pot, too. 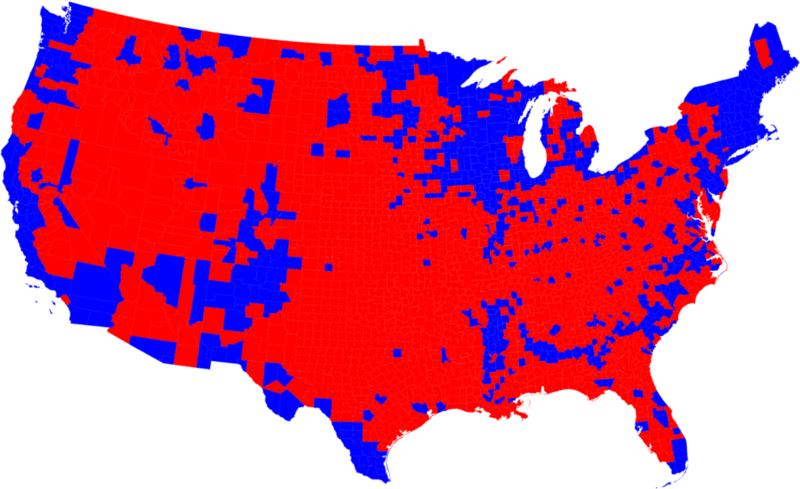 It’s also not quite a red state vs blue state dichotomy. And “New California”? If your state is the model of what our country should be, by all means toke up. We’ll probably be suffering through another Jimmy Carter-esque disaster and you’ll be begging, yet again, for a conservative to clean up your democrat messes. I think we’ve bottomed out on Presidential “messes”. November showed that the country voted in a democrat to clean up conservative messes, just as we voted in Clinton to clean up after Bush Sr, only to have Bush Jr. come in and totally screw up the country for years to come. I mean, are you at all surprised? The guy did the same thing for every company he ever ran. Why should his presidency be any different? FYI, I live in New England, not California, unless you are the part of the Red States that think New England borders London? I’m actually from the only state to vote against Reagan in ’84 :). I just see no good coming from divisive commentary based on political borders that would crumble if these ideas were ever acted on. Bill Clinton is probably more of a conservative than what “W” turned out to be. The current Democrat policies on bailouts is, in my eyes, a continuation of George Bush’s policies regarding The Patriot Act. Convincing people to gradually give up freedoms our constitution is supposed to guarantee. Yes, nothing to get too worked up over. That’s the brilliance of our founding fathers, not letting anyone have too much power for too long. Time to see what the guy can do and voice our opinions in another two years. Talk to you then :-). Too bad our founding fathers didn’t foresee the need for term limits in congress. I’m getting pretty sick of the career politicians. Thanks, Bill, for keeping your blog on point. I’d hate to come here and have your politics thrown at me when all I want is information and interesting reading material related to RESTEasy and JAX-RS. You’ve given me all the motivation I need to give Jersey another try. Thank you. Note, this post is tagged as “flaimbait”. There’s also a category picker on the right side. Have fun with Jersey!